Looking west from Center City towards University City and West Philadelphia. Amazon has reportedly entered the next phase of its search for a place to build HQ2, the $5 billion counterpart to the company's existing North American headquarters in Seattle. With the field narrowed down to 20 cities, CNN Tech reports the online retail giant has begun conducting tours of the contending locations to meet with representatives and local businesses. Can these three global corporations solve the U.S. healthcare puzzle? Amazon, looking to construct a facility that would employ as many as 50,000 people, is expected to make a final decision later this year. Philadelphia was aggressive in its pitch to land HQ2, launching a website with video presentations and interactive maps that highlight potential sites. The city has emphasized its talent pool, logistical advantages and livability as selling points for the company. An official with the private Metro Denver Economic Development Corp., which met with Amazon representatives in late January, told CNN Tech the company was focused on learning about the community, the talent pool for such a massive hiring project and the city's initiatives for diversity and inclusion, as well as areas of concentration for local nonprofits and civic leaders. Amazon reportedly has also met with officials in Washington, D.C., northern Virginia and Montgomery County, Md., all close to CEO Jeff Bezos' home in the capital. He also owns The Washington Post. Philadelphia and several other East Coast contenders, including Pittsburgh, declined to comment on whether there has been any contact with Amazon representatives in the second phase of their search, CNN Tech reported. 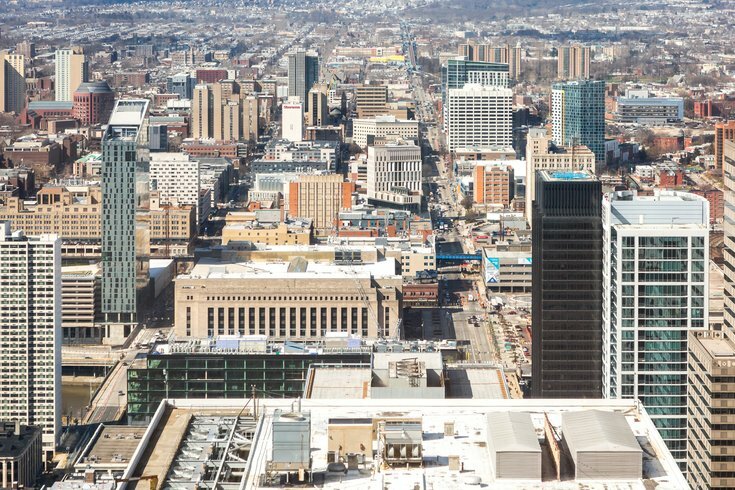 Mayor Jim Kenney has argued Philadelphia falls in the "Goldilocks zone" for Amazon's wish list and that the city can offer three ideal sites at Schuylkill Yards and UCity Square, both in University City, and the Navy Yard in South Philadelphia. For months, speculation from analysts has given an edge to various potential frontrunners, from Denver and the Washington, D.C. area to Atlanta and Philadelphia. Columnists for Bloomberg and Forbes last year argued in favor of Philadelphia as a site for Amazon's HQ2, though others have not been as high on the city's prospects. Others have expressed reservations and given cautionary advice from Seattle's experience with Amazon. A key facet of any proposal looking to entice Amazon will be what kind of tax incentive package becomes available to the company. Pennsylvania reportedly is willing to offer Amazon more than $1 billion in tax incentives, but Philadelphia officials have not yet disclosed details of the city's plans. The timeframe for Amazon's second phase in the selection process isn't yet known, but for the time being, Philadelphia still quietly sits among the 20 finalists vying for the tech giant's second home.